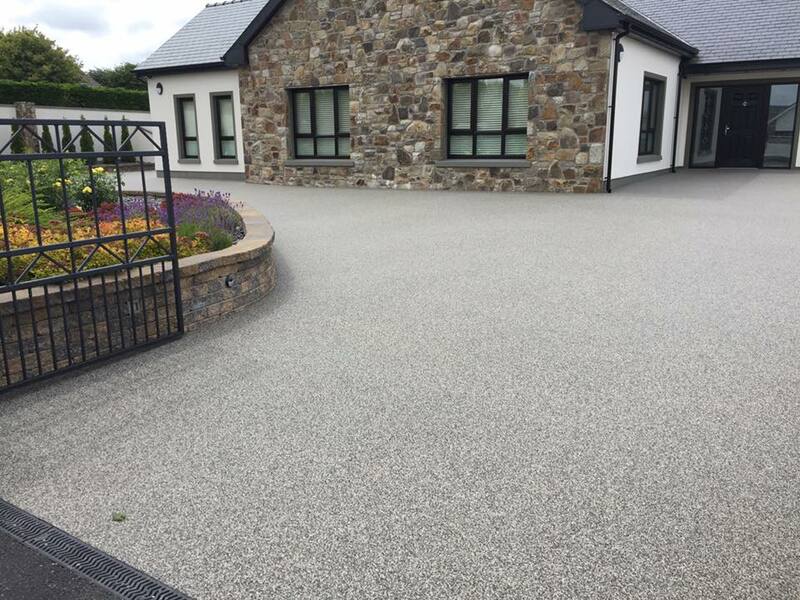 A lot of people are putting resin bound aggregate down on their driveways throughout Ireland. There are many reasons for this. Firstly the alternatives of tarmac, concrete and brick paving all have caused a lot of issues down through the years. 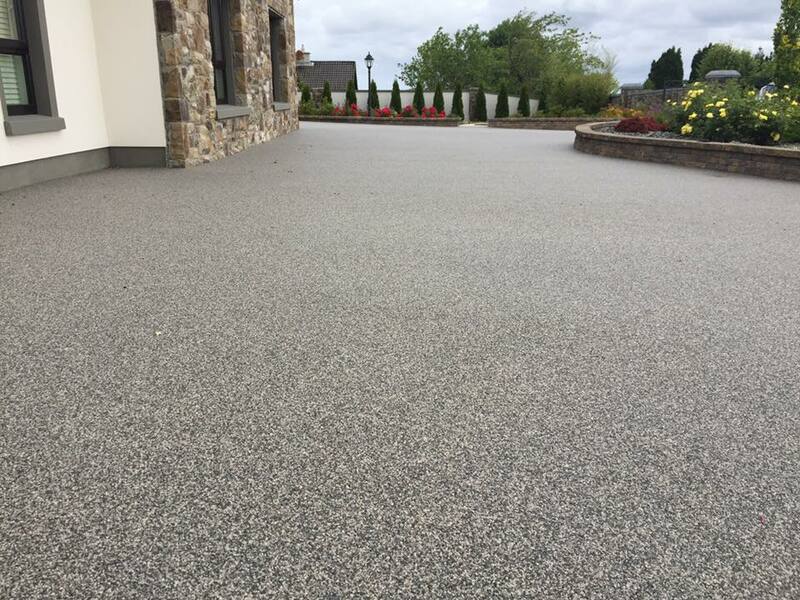 Firstly tarmac looks good when its first put down but very quickly looses it color and turns a light black or grey color. Concrete looks very industrial around a house and some people get imprinted concrete, however it can become very slippy after rain or frost. The frost and salt from the car tyre can also eat into the concrete and cause potholes. Brick paving will also look very well once its been laid however it quickly looses its color and weeds grow up through the joints. This means that every year you will have to power wash, sand and seal it so there is a lot of maintenance with brick paving. 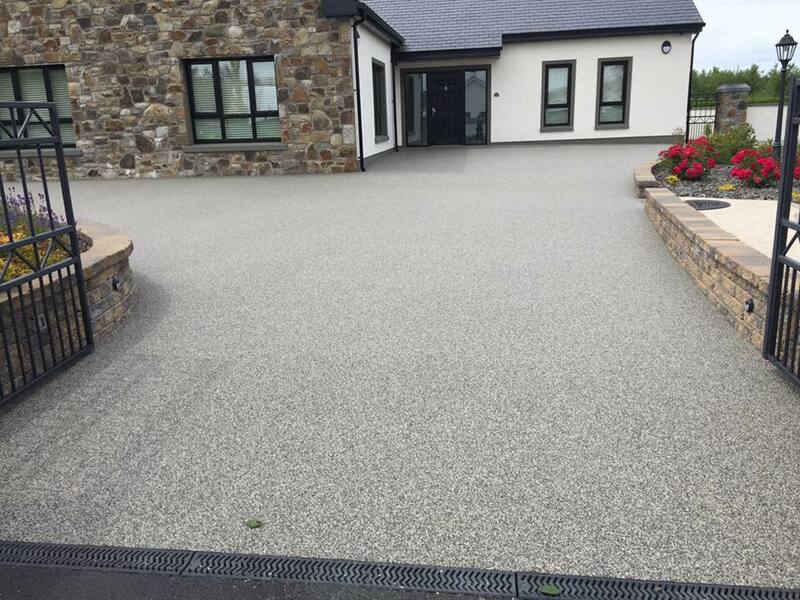 If however you decide to put resin bound aggregate onto you driveway you will have none of these issues. Firstly it will look a lot better than the alternatives, also the color will not fade. ( we offer a ten year guarantee on the color) The weeds will not grow up through it so there is no maintenance and the salt from the car tyres and frost do not effect it. 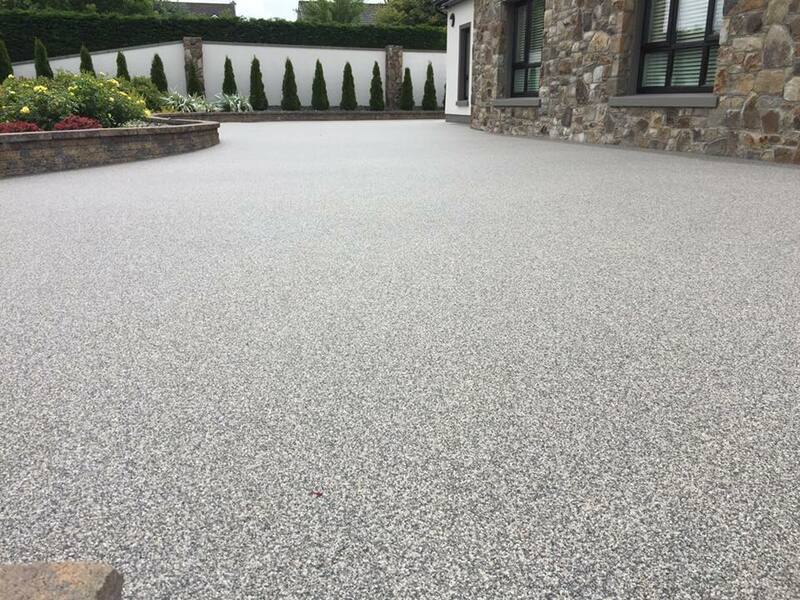 So resin bound aggregate is the best option by far for your driveway. For more information and for a free no hassle quotation contact us today.